Books, books, books, whether in print or electronic format, we avid readers love it. Here are a few photoshoots that we’ve just taken and surely you’ll find one that you’d like to read. Considering that we usually tell you guys more about fiction titles, this time we’d like to see what’s new in non fiction. 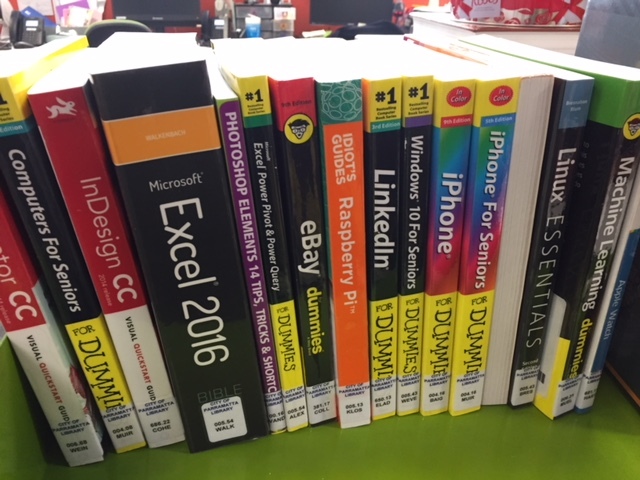 We’ve received a lot books on tech, for general improvement, and books that targeted seniors. People might say why do you still buy books on slightly old tech, like Windows 7? The answer – it’s not everyone all equipped with the latest tech and some still uses old Windows system and some might have an iPhone 6 instead X. As a public library we have to consider all needs. But we do have books for the latest tech gears. Machine learning for dummies by John Mueller – haven’t you heard about machine learning or heard about it but don’t really know what it is? Then this book is the right one for a starter. It’s also related to the topic of the discovery book. A similar one Hands on machine learning with Scikit-Learn and Tensorflow by Aurelien Geron is also available for loan. Now think about environment issues, such as bushfire which we face year by year. Here is a book that talks about the impact on our birds and other endangered species in the bush by Geoffrey Maslen: An uncertain future. Of course, former PM Kevin Rudd’s new biography might be another book to go further in understanding pollies – Not for the faint hearted: a personal reflection on life, politics and purpose. Don’t forget what’s on the world stage. Here are couple of new books on Trump and Clinton: Donald Trump: the making of a world view by Charlie Laderman. In the pipeline is Devil’s bargain: Steve Bannon, Donald Trump, and the storming of the Presidency by Joshua Green. What happened tells the story of the most controversial election in USA history by Hilary Rodham Clinton’s. 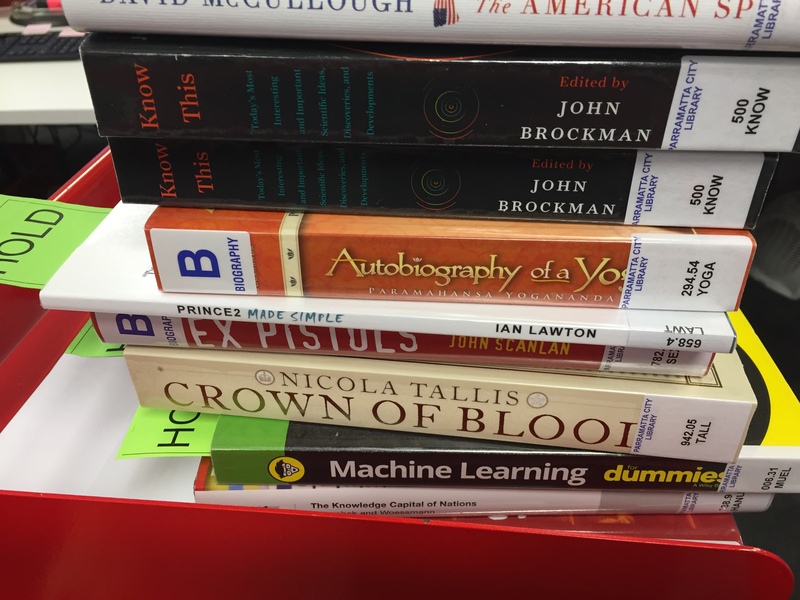 For the most popular in the library, I mean, reserved by 20 more people, is Inglorious empire : what the British did to India by Shashi Tharoor. It ‘tells the real story of the British in India – from the arrival of the East India Company to the end of the Raj – revealing how Britain’s rise was built upon its plunder of India.’ ‘British imperialism justified itself as enlightened despotism for the benefit of the governed, but Shashi Tharoor takes on and demolishes this position, demonstrating how every supposed imperial ‘gift’ – from the railways to the rule of law – was designed in Britain’s interests alone. He goes on to show how Britain’s Industrial Revolution was founded on India’s deindustrialisation, and the destruction of its textile industry.’ SBS recent TV series of ‘Birth of Empire: the East India Company’ maybe equally interest for those who like to read Inglorious empire. 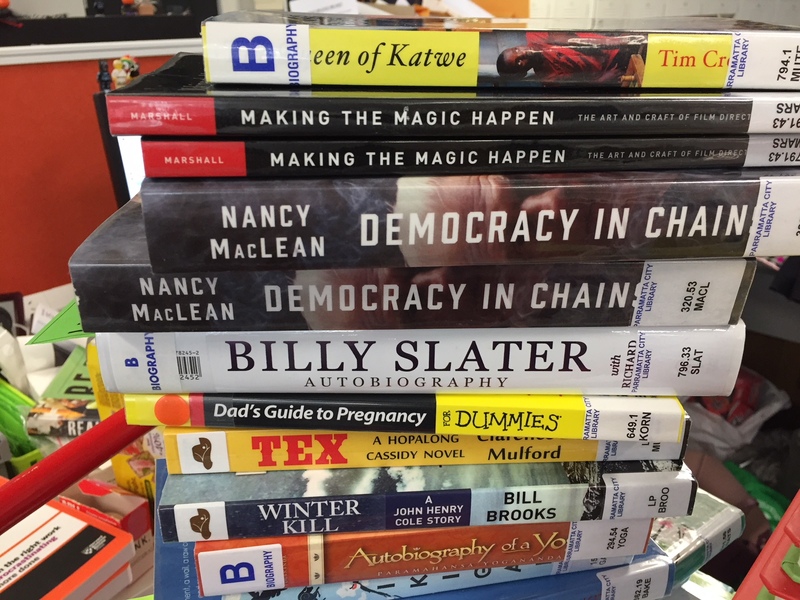 This entry was posted in Book Reviews, New Arrivals, Non Fiction and tagged City of Parramatta Libraries by admin. Bookmark the permalink.